When you decide that it’s high time to replace those old floors in your home, you’ll be swamped with a wide range of flooring materials and styles. Homeowners who spend the time researching each material for their unique needs will benefit greatly in the long run, enjoying years of enjoyment under their feet. Chasing down hardwood flooring or carpet retailers can be difficult, requiring organization and strategy to create a cohesive flooring plan. The Shelby Design Center is here to help! Our helpful flooring store in Shelby features more than 20,000 square feet of modern flooring and lighting fixtures to provide inspiration for your home renovation. We strive to provide modern lighting and flooring solutions to personalize the best outcome for any home improvements in Michigan. Finding the perfect flooring for your home can be difficult, which is why our design experts are here to help. Today, we’ll continue our look into the positives and negatives of a few of the most common flooring materials used today. When done, be sure to stop by our flooring showroom or browse our online catalog today to find your inspiration! This flooring choice has come a long way over the years and now provides a plethora of positives for your home. As an affordable alternative to hardwood flooring, laminate has come very close to imitating the grain and character of natural wood options. With a variety of styles and options, homeowners can work to customize the appearance of their new flooring system. Laminate consists of a top-layer image or wood veneer that is stacked with fiberboard to create a product that is lightweight and very affordable. Laminate floors are also very tough, holding up to the heaviest of traffic with minimal maintenance. DIYers can also benefit from this product, as laminate is now cut into planks or tiles that come with interlocking edges for a quality finish that does not require nails and glues. No material is perfect. Laminate is designed to look just like real hardwood flooring, yet the material difference will be obvious when it comes to determining your home’s valuation. The interior construction of laminate also makes it susceptible to water damages, limiting its usability to rooms that do not deal with water. Unlike the longevity of hardwood, laminate cannot be refinished and restored. Once it’s worn out, it’s time for a replacement! Laminate flooring has also been known to defend poorly against dents, making it important to have a replacement in mind if your floors look a lot worse for the wear. This product is very beautiful and cost-effective, but the economical value comes with a few setbacks. Our flooring experts can advise you on the best methods for maximizing the lifespan of your new laminate. Ceramic and porcelain are both quality materials that can improve the value and convenience of any home. Ceramic tiles are renowned for their ability to withstand damages, mold, germs, and any other agents that can affect your home and its inhabitants. Glazed tiles have a sealed surface that are very resistant to water and stains, making this material ideal for kitchens and bathrooms. Maintenance is very minimal, as all of the dirt and grime resides on the surface. When cared for, your ceramic and porcelain can last for decades while remaining clean and pristine. Pricing can also be beneficial, as many DIYers have found success looking through closeouts and bargain bins for their ceramic tiles. As beautiful and durable as ceramic is, it does have drawbacks. Many homeowners complain of its lack of warmth, as ceramic tends to be very cold. While radiant heat devices can be installed underneath for long-term comfort, the costs will certainly add up. The unique nature of your home’s tiling can also be an issue, as replacements and repairs can be hard to come by in the future. Homeowners often face a challenge when it comes to finding the tile they need for repairs, as these tiles come in many different styles and sizes. 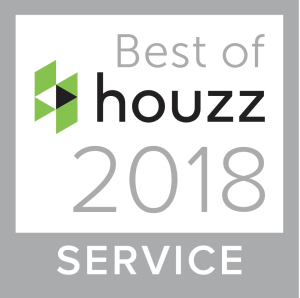 This all-popular material is comfortable and easy to care for, making it a top choice for homeowners across the country. You can utilize a diverse range of styles, patterns, thicknesses, and styles to perfectly match your home’s unique style. Carpet is also useful for providing insulation for bare feet, creating warmth where tile and laminate would fail. The thick nature of carpet also makes it ideal for reducing acoustic transmissions. Your home may be much quieter with carpet when compared to synthetic hardwood options. Carpet does require regular maintenance and upkeep to ensure a lifetime of beauty and functionality. Carpet’s inability to resist moisture problems limits its effectiveness in areas such as laundry rooms or bathrooms. Inhabitants who have allergies will need to take special care, as the fabric’s ability to hold harmful particles can hurt the home’s indoor air quality. Finding the perfect flooring for your Michigan home can be difficult, which is why our design experts are here to help! 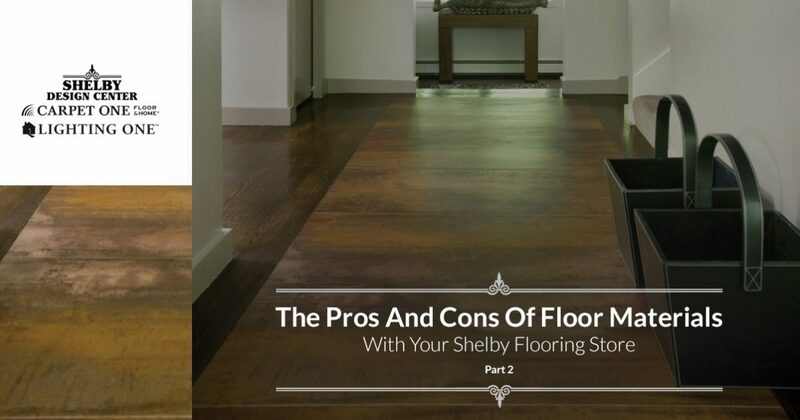 The Shelby Design Center is proud to be your flooring store in Shelby, providing special-order products and top-notch advice for every customer. Stop by our flooring showroom or contact us today to begin planning your project!